Enjoying mountainous temperate climate, Meshed is located 909 km. 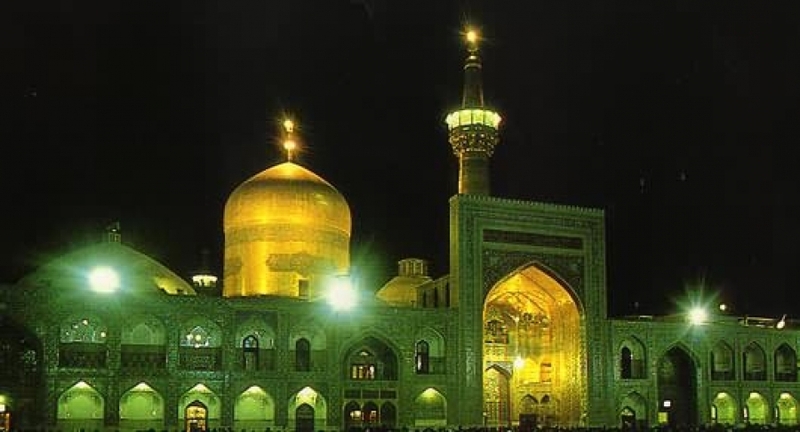 Far from Tehran in a plain between two mountain ranges of Binalood and Hezarmasjed.In the year 823 Ad., after the martyrdom of His Holiness Imam Reza in a place around Toos named "Sanabad" which was called Meshed-e-Reza (place of martyrdom), the main nucleus of today Meshed appeared. Sultan Mahmood Ghaznavi built a mausoleum opposite to the Shrine and in 13th century AD., due to destruction of Toos city by gols, Meshed developed and so many people migrated to this city. At the first, the Toos area was the residence of non-Aryan tribes and some parts of it was conquered by Arabs in the period of Caliph Osman and was annexed to Islam territory in the time of Caliph Omar. Toos was angst the first cities which was subject to destructive gol onslaught and. 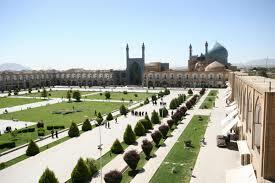 like other cities of Khorasan, was completely ruined. Toos, due to its specific and sensitive conditions, in the period of Teymoorian and Ilkhanan, was passed on from hand to hand between different governors and people were massacred. 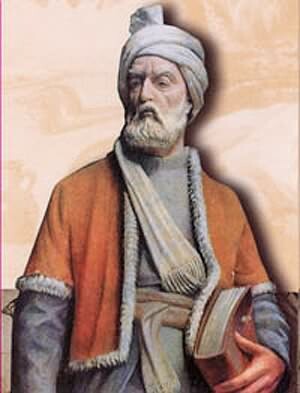 Finally, in 1438 AD.. Shahrokh, the son of Amir Taymoor, took the throne as arch. After his reign on, Toos had been paid special attention causing its expansion and development. Since second half of 15th century AD. this city was commemorated as suburb of Meshed. There have been remained some ruins of old Toos, but new Toos Due to existence of the tomb of "Ferdowsi" the great Iranian poet, has its own reputation and importance. However, today Meshed has unbreakable tie with the history of the old Toos and annually hosts hundreds of thousand of pilgrims and visitors and is one of the polars of the world She'ite place of pilgrimage. 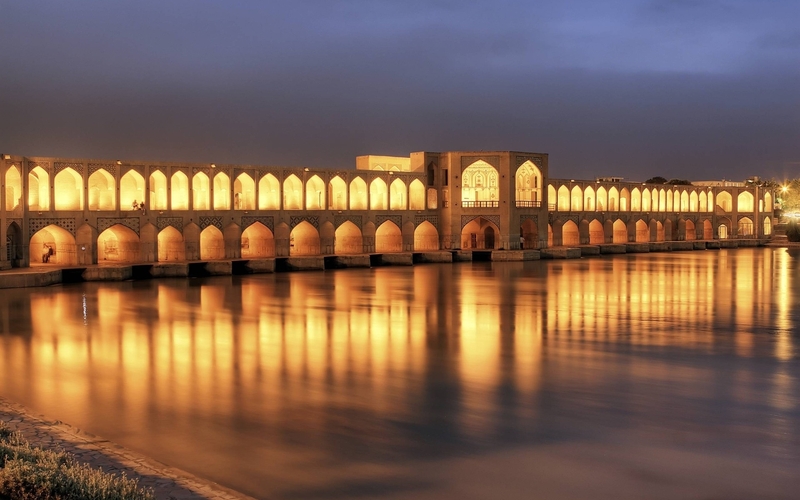 The important natural, cultural and religious sites and uments of this township are: Bazangan lake, Recreational areas of Kooh-Sangi, Akhloomad, Torghabeh, Band-e- Golestan (Golestan dam), Shandeese, Jaghargh, Zeshk, Naghandar, Kardeh Dam and Miami, Cakilabad and Mellat parks, Gilas and Garab fountains, Zari, Hendelabad, Mozdooran, Moghan and Kardeh caves, Khorshid palace in Kooh- Sangi, Milakhanjan and Robat Sharaf castle, Ruins of old city of Toos, Kalat-e-Naderi historical aggregate, Tombs of Ferdowsi, Sheikh Tabarsi,Khajeh Abasalt, Nader Shah, Imam Mohammad Ghazali, Khajeh Morad, Ravi(famous Iranian Gnostics) and mausoleum of Sultan Mahmood Ghaznavi, Meshed mud-brick dome, Mashed Mossalla (place for public prayer), Navab, Soleyman Khan, Ghyasieh (Khargerd) and Mirza Gafar Schools, Goharshad and Imam (former Shah) mosques, Imam Reza Shrine aggregate, Hor-e-Ameli mausoleum,Imamzadeh Mohammad, Imamzadeh Yahya and Khajeh Rabi mausoleum, Haroonieh and Sabz (green)dome. 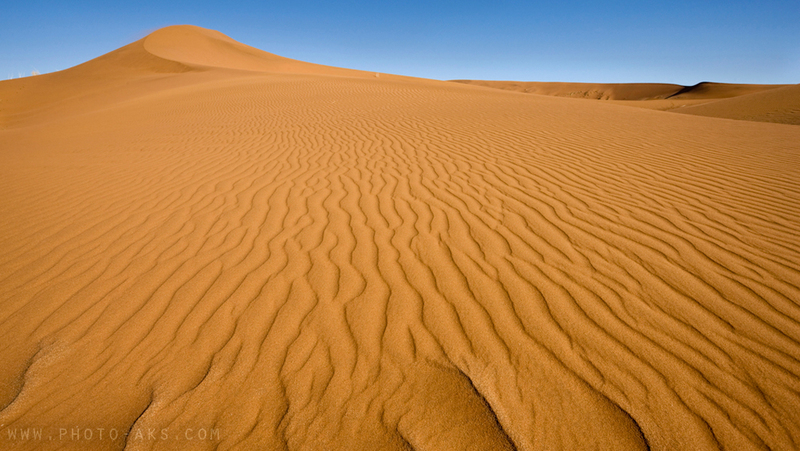 Protected Areas of the Province Khorasan province is the habitat of different plant and animal species. Protected areas of the province are as follows: Tandooreh - National Park covering an area of 57,000 ha. Locating in 250 km. far from Mashhad, close to Turkamanestan borders. Galoon Protected Area covering and area of 17.000 ha, is located in 70 km. north of Shirvan. Sari Gol Protected Area covering an area of 28,000 ha. Located in east-north of Esfarayen. hprotected areas of Miandasht, Sabsevar Kavir, Saloog, Bojnoord, North Esfarayen and Sarani. In protected areas of the province are habitats of different species of wildlife like Urial sheep, Western red Sheep. Moreover, different plant species are visible in lush vegetation and thinly scattered forests of the province. All cities of the province are equipped with transportation (air and road) , communication, accommodation and medical facilities and are easily accessible and all people are well informed on tourism activities. So many pilgrims annually come to this province. All necessary information is mentioned in this book. 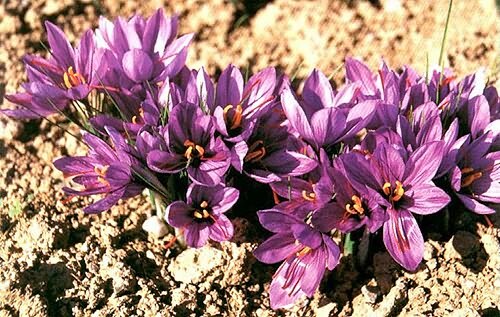 The most famous souvenir of the province is saffron.